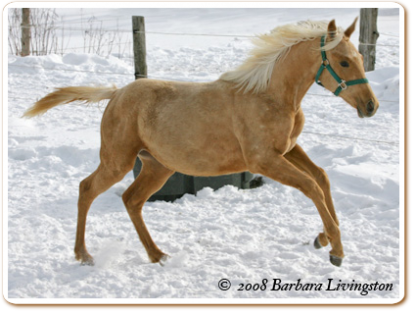 Golden Oaks (barn name Beau) is a palomino gelding by Guaranteed Gold and out of Black Oaks Paris, a flashy sabino, bay Thoroughbred mare. Golden Oaks has been lightly started under saddle. He presently walks, trots and canters and is showing an awesome hunter movement in his way of traveling. 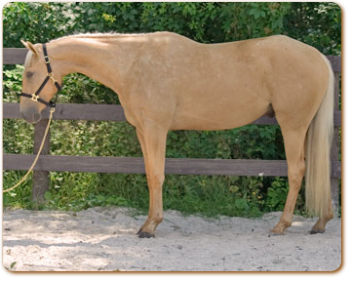 Beau is a friendly gelding that has a willing to please attitude with his rider and loves to be pampered. Golden Oaks is also eligible for APHA registration.